There is a huge, largely untapped potential that resides in African prisons. With more than ten years’ experience working in penitentiaries across Kenya and Uganda, APP has borne witness to the abundance of committed individuals who, each day, use their talents and resources to bring justice and hope to some of the world’s most vulnerable communities. The prison officers who ensure that inmates have access to essential health, education and legal services are arguably the most valuable asset prisons possess, being the ultimate bastion of human rights and protection for people who are deprived of their liberty. Since the early beginnings, prison officers have been among APP’s greatest proponents and sources of inspiration, spurring our aspiration to address the unmet need for their professional development. The desire to provide those who are at the forefront of prison work with unprecedented benchmarking opportunities has epitomised the foundation of APP’s Justice Changemakers Journey (JCJ) Programme. Since 2014, APP has facilitated learning journeys in the UK for prison personnel, to enhance their confidence, networks and skills to bring about positive transformation. We recognised that bringing positive change into the lives of inmates is impossible without nurturing the growth and well-being of their caretakers. 2018 was a prolific year for our Justice Changemaker Journey (JCJ) Programme and has already begun to yield notable results. 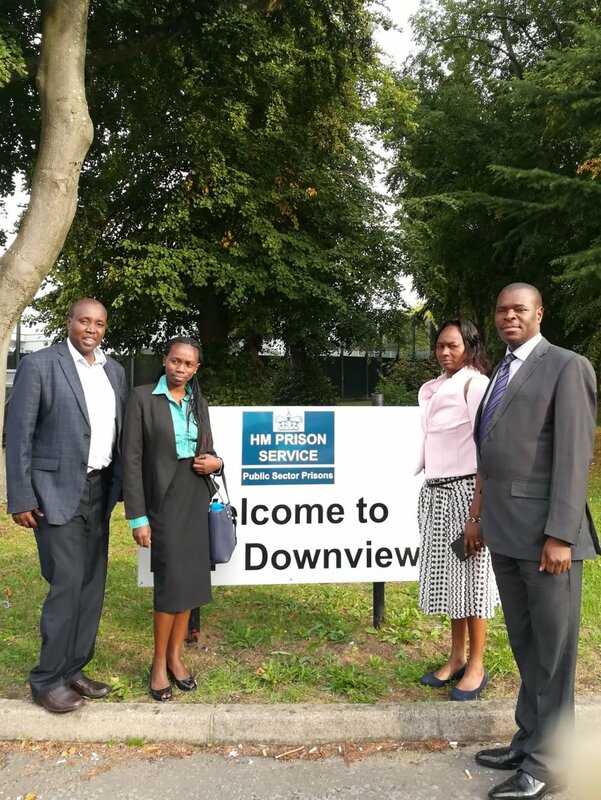 With funding from the Commonwealth Scholarship Commission and Clifford Chance, APP supported a total of six Kenyan prison leaders for two UK learning journeys, during which they learnt about the British criminal justice system and gained important exposure experiences in British prisons. APP's investment has built on the capacities of these innovators to spearhead criminal justice reforms in their own institutions, nations and beyond. Despite the challenges to change in a highly bureaucratic and scarcely resourced environment, some of the 2018 alumni secondees have already demonstrated significant achievements in a rather short time. Betty Chepkosgei, who spent three months on secondment in the UK between February and April 2018, has become the first recipient of the Human Rights Officer of the Year award, recently introduced by the Kenya Prisons Service to recognise outstanding efforts in promoting increased compliance to international human rights standards. Upon return to Shimo La Tewa prison, Betty capitalised on her reinvigorated advocacy, networking and presentation capacities to organise, deliver and find sponsorship for a 5-days training on the United Nation’s Standard Minimum Rules. The success of the initiative was recognised by her immediate supervisors and colleagues, who decided to honour Betty’s transformative leadership and exemplary work in Kenya correctional facilities. Despite her young age and junior position within the KPS, Winny’s talents, ethics and leadership potential put her on the map and informed her selection for APP’s first self-organised UK learning journey, run thanks to the generous sponsorship of Clifford Chance law firm. Her participation has given her “renewed motivation”, “a wider perspective” and the inspiration to “introduce some of the programmes she learnt whilst on secondment”. As the full impact of the Programme still lies ahead given its relatively short existence, we are excited to see where the path towards justice that Winny has undertaken will ultimately take her, and to walk alongside her and others in service of humanity. By giving pioneers like Betty and Winny a platform to share with and learn from their colleagues overseas, APP is forming an unprecedented coalition of justice changemakers who share common values and a similar strategic vision. Rather than shying away from the inadequacies of our incarceration systems. Through our JCJ Programme we are forcing a conversation about such shortcomings, internationally, allowing those at the forefront of prison work to shape and lead the debate. We are fortunate to be able to count on the involvement of many partners and supporters who, like us, believe in empowerment through education and sharing of experiences, which are unstoppable beacons of hope. Together, we can successfully challenge and change the way our world understands prisons and human dignity, re-humanising us as people and recognising that everyone’s life and talents matter.